"Discussion is impossible with someone who claims not to seek the truth, but already to possess it." The Nobel Prize in Literature 1915 was awarded to French writer Romain Rolland "as a tribute to the lofty idealism of his literary production and to the sympathy and love of truth with which he has described different types of human beings.” I treasure Rolland’s respect for listening to peoples’ truths, and I admire his vision of a world where people converse with others with shared goals devoted to an on-going quest for truth. I have noticed that there’s something wonderful about people who give you the feeling you can talk with them about just about anything, without judgement or condemnation. In such conditions, exploration is possible through respectful dialogue—and in ideal conditions, wonderful new ideas can together be explored. We gain a great deal by listening to one another, honoring unique experiences and viewpoints—even those that are very different from our own. (2) should only be discussed by people inside mainstream academia and traditional spiritual institutions. I believe the respectful consideration of ideas that seem impossible and outside the mainstream has been the foundation for every great paradigm shift and transformative movement in human history. Most every social movement has begun with just a few core individuals aware of a better possible reality, and often those change agents have been surrounded by much larger groups of people who exerted social and political power to suppress ideas they considered outside the norm. 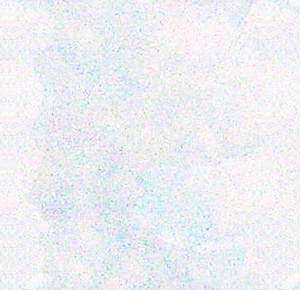 I am proud to be an integral part of the movement in human awareness that appreciates the primacy and presence of quantum logic in everyday life, and I am proud to share ways that I have witnessed changes in physical reality that appear to be remarkably similar to analogous quantum phenomena on the microscopic (quantum) scale. In the spirit of seeking better explanations for why and how reality shifts, and how new fields of Quantum Cosmology, Quantum Information Theory, and Quantum Biology might provide fresh insights, I have begun hosting a new radio show, Living the Quantum Dream. My new radio show explores the logic of quantum physics in a down-to-Earth way, providing practical benefit and useful ideas to improve our daily lives. You can listen to my first two interviews with Dr. Larry Dossey talking about One Mind, and Glenn Aparicio Parry talking about Original Thinking at the Living the Quantum Dream archives. In this month of November, I’ll soon have two more interviews, featuring Peter Russell and Stephan A. Schwartz. I am grateful to have engaged in dialogue this past month by Art Bell and Deepak Chopra for their subscription-based programs. I greatly enjoyed my radio interview with Art Bell on Midnight in the Desert, and also my video interview on One World with Deepak Chopra; an excerpt of my video interview with Deepak Chopra is available at this link, free of charge. (1) Record the point “Y” when and where you first noticed that a reality shift had occurred in the past (ie: where and when you were upon initially detecting an alternate history). (2) Record the earlier point “X” when and where, from the perspective of point “Y” you consider closest to being the moment when and where events changed. These reality shift documentation tips are useful for documenting reality shifts in an orderly fashion, and sometimes the very process of contemplating what you were thinking and how you were feeling can provide us with further clues as to what you were aware of and paying attention to at those points in time. "My days are beginning to feel like those that I had when I was a child--carefree, running outdoors, and the wind blowing on my face. I felt so certain about myself then, and I'm beginning to again. Thank you, thank you, thank you... I am so grateful you are in my life." 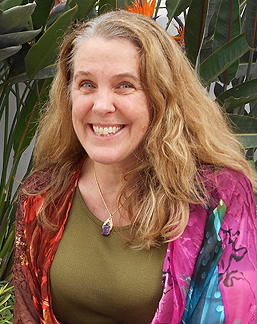 Lisa K interviews Cynthia Sue Larson on the topic of quantum consciousness, quantum jumps, and how we can make the most of utilizing quantum logic and quantum physics in our everyday lives. Entanglement and superposition of states aren’t just for quantum particles—find out how you can get in on all the fun in this delightfully entertaining and informative interview! While every one of us has one, few people give much thought to their energy body. Also known as the aura, these shining bodies of light have been recognized for millennia to exist in all living things. Since dark or damaged auras are early warning indicators of every kind of physical, emotional, and psychological problem, it is clear that you can improve your health by taking one day each year to examine your aura. Visit the event page to find out fun ways you can join in the fun! Deepak Chopra interviews Cynthia Sue Larson on “One World with Deepak Chopra," talking about Cynthia’s book, Quantum Jumps: An Extraordinary Science of Happiness and Prosperity. Cynthia describes the science of instantaneous transformation emerging from the convergence of recent research findings in physics, biology, and psychology. Deepak and Cynthia talk about kundalini, consciousness, quantum physics. 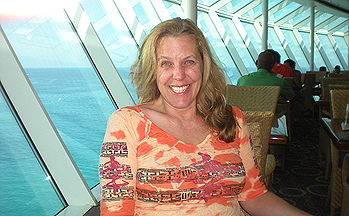 Art Bell interviews Cynthia Sue Larson on “Midnight in the Desert," talking about reality shifts, and quantum jumps. There has been a large recent increase in public awareness and discussion of alternate histories, with discrepancies now being noticed with the Berenstain Bears, and the Mandela Effect. With increasing numbers of people noticing alternate histories, “science has some explaining to do!” Cynthia also discusses implications of the gigantic interstellar structure recently observed near a neighboring star system. Cynthia Sue Larson talks with Dr. Larry Dossey about his most recent book, “One Mind: How Individual Mind is Part of a Greater Consciousness and Why it Matters,” and recent evidence suggesting that our mind is nonlocal in space and time, transcending human consciousness with no apparent boundaries. Recent experimental research presents overwhelming evidence for the presence of One Mind in fields including remote viewing, random number generator influence, presentiment, and precognition. 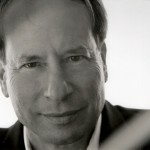 Dr. Larry Dossey is an internal medicine physician, former Chief of Staff of Medical City Dallas Hospital, and former co-chairman of the Panel on Mind/Body Interventions, National Center for Complementary and Alternative Medicine, National Institutes of Health. 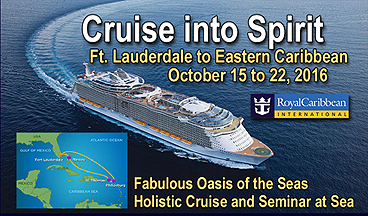 He is executive editor of the peer-previewed journal Explore: The Journal of Science and Healing. He is the author of twelve books on the role of consciousness and spirituality in health, which have been translated into languages around the world. 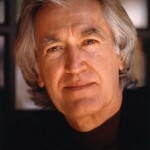 His most recent book is ONE MIND: How Our Individual Mind Is Part of a Greater Consciousness and Why It Matters. He lectures around the world. Cynthia Sue Larson talks with Glenn Aparicio Parry about his most recent book, “Original Thinking: A Radical Revisioning of Time, Humanity, and Nature,” delving into different ways of viewing original thinking, the elements, and time. Glenn talks about his experiences with indigenous elders, ceremonies, and dreams, and shares insights about how we can benefit from experiencing expanded awareness in our lives. Glenn Aparicio Parry, PhD, is a writer, educational consultant, international speaker, entrepreneur, and visionary whose life-long passion is to reform thinking and education into a coherent, cohesive whole. The founder and past president of the SEED Institute, Parry is currently the president of the think tank The Circle for Original Thinking. Parry organized and participated in the groundbreaking Language of Spirit Conferences from 1999 – 2011 that brought together Native and Western scientists in dialogue, moderated by Leroy Little Bear. Note from Cynthia: Thanks for letting me know about your lucid dreaming experience, and your observation of a drowned bug coming back to life in your hand. In a lovely synchronicity, I just within the past 24 hours heard from a dear friend who experienced something similar--seeing a beautiful dead moth--wishing it was alive, and then after glancing away and back again, it was! Clearly the hypothetical Schrodinger's cat scenario plays out in our everyday reality much more often than many people realize. Meditation and lucid dreaming are marvelous for helping people identify more with consciousness than a particular physical reality, and keeping an open mind to the notion that such things can occur definitely increases the frequency with which we observe them. I was happy to find your page on the Mandela Effect last night as this is something that's been bugging me for at least 25 years. I can't say I have a clear specific memory of Mandela having died in the 80's, but I did have a vague sense that something didn't feel quite right with his later emergence as a political and social leader. Curiously, his most recent death day coincided with a particularly important date in my own life, but that's another story. My first and most emphatic experience of the phenomena actually centered on comedian Richard Pryor. (No, not related to the setting himself on fire incident.) One morning in the late 80's I saw his death announced on the Today Show with Bryant Gumbel & Jane Pauley. I clearly remember them showing his pic with the birth & death years posted. I remember a cable channel running a Richard Pryor movie memorial the next weekend. In a casual conversation with a friend in 1992, they mentioned something about something recent involving Richard Pryor, and I was flabbergasted. That was back in pre-internet days, but I went to the library and did all the research I could to try and determine if there had been some sort of publicity mix up or something with a re-announcement of his death, but apparently not. I was still married when I heard about Richard Pryor having died, thus it was before 1992. I see Jane Pauley left the Today show in 1989, so "Point X" would have been before that. One of my first thoughts re his death was related to him being in the first movie my first son was taken to. The movie was Superman III which featured Richard Pryor. My son had only been two or three years old when we took him to that movie and when it was shown on cable as part of the R.P. memorial schedule I remember telling my son about it having been his 1st movie. These are all very specific and distinct memories, not just a vague sense about it you see. Fast forward to 1995. 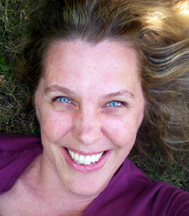 I'd been divorced for a few years and very much on a path of rediscovering and reconnecting with my pre-marital self which included a resurgence of interest in "new age" and "mystical" types of thinking. I'd had a very clear and rather powerful dream one night that involved meeting two women and being with them on a mountaintop overlooking Charlottesville Virginia (near where I live.) The day after that dream I got together with a woman I'd met through some mutual friends. First time I'd been to her house which it turned out was at the base of a mountain and we decided to go for a hike up the mountain. Along the way a rather large feather floated across my path--it was bright yellow, very unusual for this area. At the top of the mountain there was a wooden observation tower someone had built years ago--also very unusual and unexpected, but it was pretty much identical to the one I'd seen in my dream the night before. Anyway, sometime during the hike the woman I was with happened to mention something about Richard Pryor, something that he was currently involved with. I didn't know what to think and tried to tell her Pryor had been dead for several years. From that point on I was obsessed with talking about Richard Pryor and I'm sure my bizarre reaction (plus the fact that I wanted to keep the yellow feather for myself) contributed to my never being invited to see that woman again. However, a few weeks later I met the two women who had been in my dream. They ran a new age gift shop in Charlottesville that was called "Feather on the Wind". One of these women became my life partner for the next 17 years and when we first got together she lived directly in sight of the same mountaintop I'd seen in my dream and had hiked to on Richard Pryor "Y" day. OK, long story, hope it didn't bore you too much but I wanted you to see why my Richard Pryor memory has had such a lasting impact. Since then I've had several other "dead then alive again" incidents. None with the same personal impact, but I'm wondering if others you hear from have had a similar turning point in their own lives that was associated with a broader reality shift? Incidentally, while most of my dead-alive memories have included celebrities there has been one that did not. That one involved my high school guidance counselor. I'll spare you the details for now, but a few months after his second death my own father also died and at his burial service I was surprised to see that the next tombstone over belonged to the guidance counselor. Since then I have had so many similar experiences I've lost track. Several of the names in your survey would be on my list and I am currently stunned to see that Ed Asner is alive again as he most certainly died a few years ago. One suggestion I have for you is to apply a date to the posts and surveys on your site so that those of us who discover the info months/years after they were posted can keep it in proper context. My mind whirls with the possibilities for research and explanations. I plan to delve more thoroughly into your postings and hope to communicate more in the near future. Thanks for putting all this out there. Note from Cynthia: Thanks for writing to me about your recollection of Richard Pryor having passed away at some point in the 1980s. And now that you mention it, I also remember having been surprised at some later point in time to see him alive and kicking. Thanks so much for including the "X," "Y," and "Z" dates for your Richard Pryor alive again experience, in addition to some of the emotional connections developing at the "Y" time when you became aware of what suddenly became a missing event in history around point "X" in time. Yes, the "Y" moment of noticing something has changed is a bifurcation moment, and quite often at the time of noticing a previous change, people do report recognition of some kind of noteworthy emotional / energetic activity around that time. Your observation of a feather that you felt a need to keep at that time of noticing you remembered Richard Pryor's previous death while others suddenly didn't is a marvelous example of encountering the bifurcation "Y" point in time, since the feather took on much greater significance soon thereafter, as did the mountain area where you were hiking. In an earlier email I mentioned my experience of a few years back when hundreds of thousands of buildings along the highways of Southern California changed overnight. This included such things as a popular architectural feature of a rounded top to many buildings that DID NOT HAVE such a feature before the shift. Also, were entire developments--shopping centers and gated communities--that either where no longer there or (most interestingly, to me) HAD BEEN BUILT but had been constructed on a different site miles away and/or on the opposite side of the highways involved. Had a mini-version of this a few months back when Rhonda and I made a trip to Las Vegas (from where we were living in Palm Desert, California) and rented an apartment in Vegas to move to. When we drove back to Palm Desert that same day I missed our exit off the highway (and continued to miss it in the coming weeks when out shopping and preparing for the move) because the strip mall on the north side of the highway and the large round building on the south side of the highway--my reference points for when to take the correct exit -- had suddenly ceased to exist. Again and again these more "personal" changes/shifts seem to usually be connected to sudden changes or on-the-spot decisions made in my life that set a new direction that had not been consciously planned for even moments or hours before I made that change. Hmmmm. Note from Cynthia: Thank you so very much for sharing with me your experience of buildings changing along the freeway with entire developments not there--and with new architectural features of distinctively dome-top buildings appearing subsequently as if they'd always been there. I especially appreciate your observation that many of these kinds of sweeping changes to architectural landmarks along roadways have been associated with changes in decisions or thoughts you were having at the time. This is in keeping with my observations and what I write about in my book, "Reality Shifts: When Consciousness Changes the Physical World." And thanks so much for letting me know you also remember Thanksgiving on the 3rd Thursday of November--to the point that you'd determined there must have been some kind of official change during your lifetime. That's the same assumption I'd made, until I looked a little more closely and realized no such official change had occurred in my lifetime to date! I enjoyed your appearance on Art Bell’s show last night. The Star Wars line has me freaked out. I grew up with those movies in the 80s and of course remember Darth Vader saying “Luke, I am your father.” A Simpsons episode even parodied it. This thread from Yahoo! Answers says it never happened either. The Simpsons quote occurs in Season 6, Episode 22: ‘Round Springfield. The quote still exists in the episode. Searching for “Luke, I am your father” brings up articles which say that people frequently misquote it. Yet I asked a friend who grew up with Star Wars as well and he remembers the original line. So there you go. I’ve experienced a few of these reality shifts, and wanted to tell you about the biggest. In the late nineties I heard on the radio that Ronald Reagan had died. A friend and I talked on the phone and discussed the story as part of our conversation. He said that he listened to Michael Reagan’s talk show, and Michael said the family would have a quiet service and asked the public to respect their privacy etc. I filed it away in my head as a newsworthy event that happened. Imagine my surprise when a few years later I heard on the radio that Ronald Reagan had celebrated his birthday. The report mentioned his deteriorating mental health, and said the family did its best to help. A year or so later I heard another report that he died. Again. I totally remember the first time happening. It did not happen in a dream. I did not imagine it. I remember it as a real event. And yet it happened. I had another incident when my grandfather passed away. My grandmother gave me a money clip he used. I stored it away in my drawer as a keepsake. One day I decided to use it to put some ones in for a train ride. I used the money to buy my ticket. When I returned home I found to my horror that I had lost it. I emptied my pockets, and even turned them inside out, but the clip had gone. I went to bed feeling annoyed with myself for losing it. The next day I woke up, picked up my pants, and found the money clip in the pocket. A similar thing happened with a crystal skull. It disappeared and I could not find it anywhere. Then almost two years to the day I found it on the floor by the front corner of my bureau. No way it could have rested there for that long without someone finding it. No way! Thanks for giving a name to this. I will check out your work further. If I had not experienced these events I would just pass them off as mis-remembering events, and just a bunch of new age fluff. But I know what I experienced! Note from Cynthia: Thank you for your email! 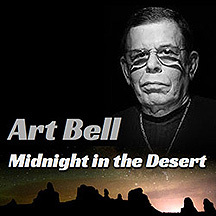 I'm really glad you listened to my interview with Art Bell on "Midnight in the Desert" last night, and recognized the connection with reality shifts you've experienced over the years. That's a great observation about the line in Star Wars, "Luke, I am your father" having shown up in a Simpson's episode, and now it's gone, too. Regarding Ronald Reagan--Wow. I also have a vague recollection of having heard of his having passed away, only later to be quite startled that he was still alive. I'm glad to hear that your grandfather's money clip returned to you, inside one of the pockets you'd undoubtedly been sure to check the day before. And I love how your crystal skull wandered off somewhere for two years, and then returned on the floor by the front corner of your bureau--and by your surprise, it sounds like we can rule out it having been borrowed by someone stealthily and then returned. Guess what Cynthia! It worked, I’ve duplicated something! I prayed actually also to Jesus and Holy Mary (they are great for reality shifts) and also prayed to my spirit guides, and actually it worked! I’m still though so flabbergasted that I’m 90% sure even if I got facts, creepy facts actually that are like a sign it actually did happen. Like maybe I didn’t remember good, but still? I have a great memory; I even remember things when I was two years old so, anyway, here is the duplication story. I had a box with chocolate bonbons. I didn’t want to eat it all at one time, and since the television had good movies, I’ve decided to keep some fancy bonbon for the night and next day so I wouldn’t just have chips and cheap chocolate. Of course it’s hard to keep your hands off, so after eating almost all the box, I was left with two chocolate bonbons. I kept a promise to myself to actually save them for the movie. Well, I couldn’t resist, and decided to eat half of one bonbon. So I had half of one bonbon and another whole one. Then I said to myself I shouldn’t have done that, and wished there was one more! Because three would be a decent amount, and now because I had been so stupid, I had just 1 and a half! Then I opened the box, and I saw another half one! I was shocked, and thought, “Whaaaaaaaaaat.” I don’t even remember that I also ate the half of another bonbon, because I clearly remember having 2 and a half bonbons. Not one whole, one half and also another half one! I thought, “Maybe I’ve also eaten half of the third bonbon—but I’m 100% sure that I didn’t. But because of the shock and almost disbelief, I’ve tried to convince myself that I made a mistake, but Hey, I’m not crazy. Anyway, the point is that if you see teeth marks and the shape of the bite, it’s milimetric identical to the one I’ve eaten half of. I don’t know if you remember Uri Geller, but when he draws something he see in his vision that the men on his show has with him, it’s also milimetrically identical. I’m really thinking that I’ve duplicated the half one I’ve eaten, because I clearly remember that I had one whole and one half one! I even remember thinking lets eat it anyway, because what’s the point of having just one bonbon and a half one in the box for the movie. Too bad I didn’t duplicate the whole bonbon, so I would have two whole bonbons, but hey, whatever. I’ve still gotten a half one for free! Before the duplication, I was totally tired of it (because in the past it didn’t work). I felt like I didn’t have any energy at all, and I was tired. Then I remembered a story in the Bible where Jesus magically made sure there were a lot of fish for fishermen, because before they had been starving to death and there were no fishes. So that memory made me feel enthusiastic enough to actually pray, but it was like a fast prayer like, “Whateverr blah-blah-blah.” But the result is great! When I do focus on something and WANT it, I never seem to get it. I get tired of it, I guess, because I’m spoiled, so if I want something, it must already be there. I then get irritated and negative! So maybe it was a good thing that I was in a bad mood. One spiritual person told me that’s because if I want something it’s the ego (third chakra), and if I stop wanting it, then I’m more in the heart area. I guess she's right! Note from Cynthia: WOW! Getting an extra chocolate bon-bon is a great application of reality shifts! I often find I have some never-ending supplies of some things, such as food supplies that seem to last forever with no restocking required, and a "disposable" razor I bought four decades ago that is just as sharp today as ever, so I've never thrown it out. I used to think this kind of thing was normal, but now I realize most people don't know such things are even a possibility, so if they do happen, they likely don't even notice. Good job paying attention to all the little things! I like how you were thinking of Jesus with the miracle of the loaves and fishes! Yes, that's just like the bonbon duplication! And I’ve also found heart-centeredness most effective for experiencing all kinds of reality shifts. About that kid with his reality shift story in your recent newsletter. I also remember coffee being spelled and called "Expresso." I confirmed that my mom also remembers it as “expresso," and then later it changed. I remember when I was a kid I saw it on the menu of a shop. My mom said, “I will have an Expresso,” and I asked my mom, “What’s an expresso?” and she said, “It’s coffee.” I always made fun of my mom ordering expresso, and also calling it loudly to the waitress, because the word sounded funny to me as a child. In my child fantasy, it sounded so nice the word expresso like a word for a hunk thats is very tough guy. Well, when I was 18, I remember ordering it and I clearly remember the word on the menu as being “Expresso.” Then I remember a few years later when I was 22 years old that something about it appeared on the national news in Holland. Spelling the word as "Expresso" wouldn’t be allowed, because it doesn’t make grammatical sense to place an “x" in that word. So thats why it was re-spelled as “Espresso," but the people would still keep pronounce it as Expresso, and so they did until I was about 24 years old. Then when I was 25, it was everywhere as "Espresso" like it always had been called, spelled and pronounced as "Espresso." I had a lot of drama and instability going on in my life at the time, with financial and other wishes that didn’t come true—Not knowing what I would want to do in my life: whether I was going to be a model, or a DJ, or a lawyer. Maybe times like that are a reason we remember different things? Note from Cynthia: I love how you mention your current memories of when you last recall having mostly seen "expresso," and how long ago it was that this came to your attention as kind of noticing something changed. It seems like in this case, the sound of the word changed as well as the spelling, and the changes occurred at a couple of points in time. During this time when a growing number of people are starting to notice alternate histories related to things that many of us remember differently, we have an opportunity to more openly discuss the topic of reality shifts and quantum jumps. Asking friends and family how they remember the word "expresso" coffee being spelled is a great way to bring the subject up, and then if they also recall the "expresso" spelling, you can continue talking about some of the other topics now being mentioned such as: Berenstein Bears, Nelson Mandela dying while in prison, other celebrities "alive again" after reputable reports of their having previously died, and many others. I remember being about eight years old around 20 years ago, when our teacher was talking about Nelson Mandela. He looked shocked, as he told us, “Mandela died in prison.” So all the kids and I were like, “Whoooooooo, that’s sad!” (even if we didn’t even knew who Mandela was anyway at that age, haha). Then I remember about a week later that our teacher said, “Kids, kids! I have some news! Mandela actually didn’t die. The people thought he died, but he actually escaped.” So the kids and I were happy. And so I remember Mandela was alive for a very long time, until I was about 24. Then I remember when I was just 25 years old, that he was very ill, and then he actually died about 2 years ago. I watched a documentary on television about Mandela’s life because it was like on every channel, describing his time in prison when he really suffered, and how when he got out of prison he cheered all the people and waved at them. Anyway, Mandela was never big subject for me. I was way too busy with other stuff, so I didn’t pay much attention, but now I do, because it’s strange that people remember Mandela’s death differently. So whats your experience with him? And are more people convinced he's dead or alive? I've noticed sometimes when reality shifts, people make cover story explanations to fit what "must have happened" since of course someone can't die twice, right?! Well, actually it seems many people not only can die twice, but do die twice, and many such celebrity "alive again" stories have been covered on the realityshifters site over the years. The recent excitement with people noticing lots of people now recall memories of Mandela having died twice is what's so interesting, since (finally!) there is a groundswell of growing interest in the idea of alternate histories. With alternate histories, it's helpful to notice when one comes to attention at least three points on the timeline, including our best sense of (1) when, if ever, we seem to recall the person having died before, (2) at what point in time we started noticing reports of another death, and (3) at what earliest point in time, if any, before the time of a second death did we notice that person alive and well. These timeline indicators help provide a way of grasping the way shifts in our individual and collective memories occur. I am forwarding a message to you because it is interesting that I would receive this e-mail message yesterday from a Jewely Sandollar on October 8th. I wrote up a newsletter about the SANDDOLLAR back in June of 2015, and Jewely commented on it when the newsletter first came out in June and said, "THAT'S WHY I AM A SANDOLLAR" ~ and now, all of a sudden here we are four months later, and the e-mail shows up again ~ like it is brand new fresh on October 8th from Jewely Sanddollar, as if she had not commented on the e-mail back in June, and is commenting for the first time in October 2015. This definitely segues with the work you are so dedicated to with showing folks about timeline jumping ~ shifting timelines ~ reality shifting, etc. You can see the date of this E-mail is October 8th 2015. You can see the date when the original newsletter first came out (June 2015), if you follow the links. Note from Cynthia: Thanks so much for letting me know about this time-delayed facebook post from Jewely Sandollar that came through some six months after you first saw it back in June! This indeed seems very unusual, and not something I’ve heard much of before. My name is Lindsey and I recently heard you on Art Bell show. It was a fascinating show and I already bought your book, as I am really interested in this type of thing. I have previously read Dean Radin's book on particle entanglement, Entangled Minds, I’m sure you've heard of it. One question I had that I didn't hear anybody else ask, was I'm wondering how I would go about the Quantum Jumping. I'm doing my best to explain this question, it's a bit complicated. What I mean is, if it's true that we are living in multiple dimensions all at once, is there a way to push for something to happen with intent? This question is coming from a personal challenge is that my husband daughter and I are having with his current job. We are trying to get our family transferred to a location near our extended family so that we can have help with our new baby, and he will be working less hours (he is currently working 13 hour days). So I guess I'm basically wondering, if we can imagine ourselves getting transferred or in the new town, is there a way to make that a reality? 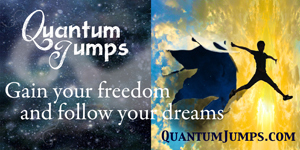 Thanks so much for writing to me and letting me know you enjoyed hearing me talk about reality shifts and quantum jumps on Art Bell's Midnight in the Desert radio show. The short answer to your question is that yes, it is possible to push something with intent. Such pushes work best when they come from a unification of your entire mind, body, and spirit rather than just a thought in your head--with a sense that only the desired outcome is acceptable, and thus a kind of certainty that this is the reality you are moving into. So the imagination is great, and it becomes most effective when your entire being is energized and relaxed--such as you might feel in a waking dream or meditative state, or experience of oneness such as one gets in near-death experiences. While the process is simple, people sometimes need assistance releasing worries and stuck energies in various parts of their mind, body and spirit--and you can often tell if you have such stuck energies by where and whether you notice tension in your body when thinking about your upcoming move. I do not desire my current timeline for many reasons. I have no concern for being rich and famous. I desire to go back to a particular point in my timeline. just before things went indifferent. Why do I wake up in the same reality same wife, car, job, family? The short version of the answer is: entanglement. The slightly longer answer is that thanks to (1) the primacy of quantum logic in all of Nature--including entangled connections with macroscopic familiar surroundings, items, people, and experiences, and (2) our sensory "interface" system that never actually allows us to experience reality as it truly is, we exist in a superposition of states and our senses knit together a seamless, seemingly continuous record of "nothing changing" around us. People who've had near-death experiences, lucid dream, and awareness or meditation training realize that the "real you" is "that which experiences" and feel a tremendous sense of unconditional love. When we deepen our appreciation of this aware state of being, and when we hear first-hand accounts from people who've noticed instantaneous changes in physical reality, we are more likely to experience reality shifts and quantum jumps. 8 LAWS OF CHANGE packs centuries of time-tested wisdom about how to successfully effect long-lasting positive change in the world. Schwartz shares insights from five decades of his personal experiences, starting with the American civil rights movement of the 1960s, and continuing forward to today. Until 8 LAWS OF CHANGE, those of us striving to achieve social goals with small community groups have relied upon good intentions and good luck when bringing together people of different experiences and viewpoints. To say results are not guaranteed is an understatement! I’m grateful to have been involved in a few successful projects involving a small groups of dedicated individuals working in the face of opposition and with limited resources. People working together to improve the world need help holding a consistent vision of long-term goals without individuals pushing their specific beliefs or agendas— and 8 LAWS OF CHANGE serves as the best book I’ve yet seen that provides a guide for accomplishing that. Schwartz’s 8 LAWS OF CHANGE are key success factors responsible for having brought about change in American society in such areas as: civil rights, women’s suffrage, public education, and environmental protection. Schwartz introduces the 8 LAWS OF CHANGE by expressing astonishment that every successful movement for social change he lists began with “a few Quakers joining together in common intention.” Individuals and the group: share a common intention; have goals but not cherished outcomes; accept they may not see change in their lifetime; accept lack of credit or acknowledgement; enjoy fundamental equality; foreswear all violence; make private selves consistent with public postures; and act from the beingness of life-affirming integrity. Choosing my favorite part of this book is challenging, since it’s so well written, and filled with fascinating accounts and people. Some chapters share a successful case history, and others delve into important topics such as: taking the long view, the power of nonviolence, the issue of authority, the power of intentioned awareness, and nonlocal consciousness. I’m especially fond of investigating matters of nonlocal consciousness and intentioned awareness, and was pleased to see that these chapters provided current research findings and useful practical tips. Highly recommended!